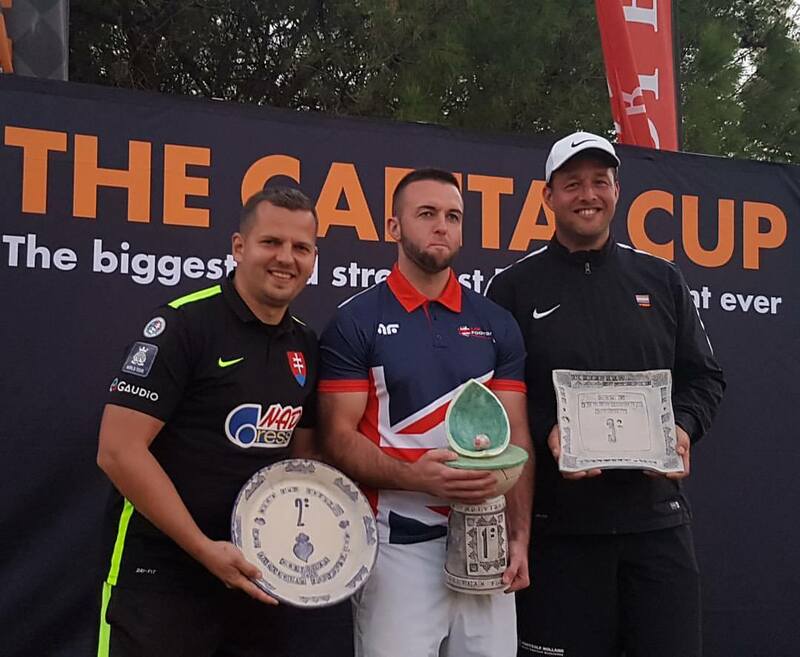 Jason Parkinson won the Grand Final of the 2017 European Footgolf Tour in Portugal with an amazing -39 score. He was leading from the first minute and collected the 300 points. Only Juraj Gubani had the chance to catch him, finally finished second four kicks behind Parkinson. The winner of the season is Ben Clarke! The EFT season has ended this weekend in Portugal with a three day-long tournament at the Castro Marim Golfe & Country Club. Jason Parkinson (UK) was the best on Friday (score -11) and kept his leading position on Saturday also and has been waited the final day with a 5-kick lead. He was unbeatable on Sunday as well, winning the Grand Final with a score -39 on 54 holes. Juraj Gubani (SVK) was so close to him, finished second (-35), while Wesley van den Broek (NED) became third (-28). That was the ranking in the man category as well. Róbert Tajtyi (HUN) won the senior (-18), while Martina Quintarelli (ITA) the ladies category (1). The Dutch team was the best, while UK and Spain became second and third respectively. 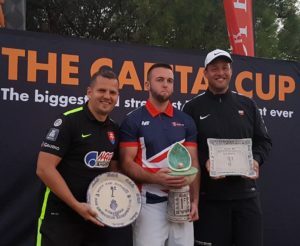 Ben Clarke’s (UK) 9th place was enough to beat the EFT leader, Michael Wilkes (NED) by 31 points and became the winner of the 2017 European Footgolf Tour. Wilkes became second, while the winner of the 2015 Tour, Lionel Jacot (SUI) have reached the podium. In the man category, Jacot was the second behind Clarke, while Matias Perrone (ARG) grabbed the bronze. Among the footgolfers over 45 years, Wilkes have kept his leading position, while Tajtyi climbed to the second place and Fred van der Veldt (NED) to the third. Martina Quintarelli won all of her tournaments, where she has appeared, it was no question she is the queen of Europe in 2017. Suzanne Berg (NOR) becomes second and Charlotte Gara (UK) third. Great Britain won the team competition beating Italy and the Netherlands. In 2017 EFT the best four results plus the Grand Final’s points were counted. This year 677 footgolfers have played at least once. 1 Reply to "Parkinson show in Portugal, Ben Clarke is the European champion"
Jason Parkinson could do with a sponsor, so he could enter more events, to do list for next year.